FORT MYERS, Fla. -- For someone who enjoyed such great success last year, hitting .314/.417/.506 between Greenville and Salem, Mookie Betts (pictured, left) hardly seems ready to relax after his breakout season. Betts got his first taste of major league action this spring, getting into six Grapefruit League games and making six plate appearances. He didn’t enjoy the benefit of a hit in those brief call-ups from minor league camp, but much like his attitude on the spring, he found learning experiences where he could. 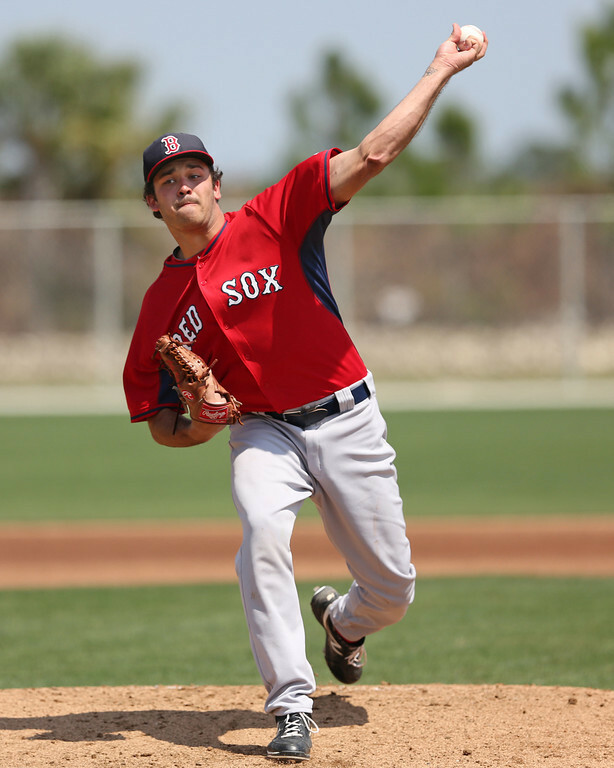 On the finale of Spring Training 2014, the Red Sox finalized their Opening Day roster with right-hander Brandon Workman (pictured) earning the final spot in the bullpen. In the final official cuts, the team released veteran reliever Francisco Cordero and reassigned pitchers Tommy Layne and Brayan Villarreal, outfielder Corey Brown, and utility man Mike McCoy to minor league camp. Workman, 25, won the competition for the final spot in the bullpen that opened up when left-hander Craig Breslow was placed on the 15-day disabled list. Workman made his major league debut in July, and appeared in 20 games for the Red Sox, including 17 out of the bullpen. The highlight of his season was working a perfect eighth inning in the World Series-clinching Game Six. He appeared in six games in spring training, allowing 9 runs on 17 hits in 15 2/3 innings, striking out 16 while walking only two. 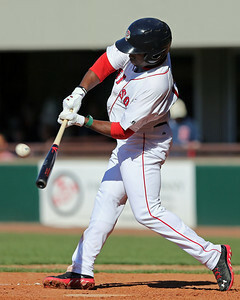 He joins Xander Bogaerts among members of the SoxProspects.com top 10 on the major league roster. The Red Sox announced a number of roster moves today, optioning outfielder Jackie Bradley Jr. (pictured), infielder Ryan Lavarnway, and pitcher Drake Britton to Triple-A Pawtucket. With Grady Sizemore being named the opening day center fielder, the organization felt that Bradley would be best served getting regular at-bats in Pawtucket. 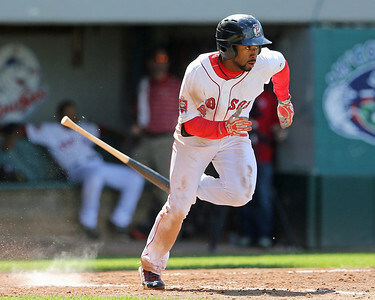 Manager John Farrell spoke about the importance of getting Bradley into a groove with regular playing time, hoping to spark the 23-year-old's bat after a disappointing spring that saw him hit just .158/.213/.263 in 57 at-bats. Former top draft choice Kolbrin Vitek has filed retirement papers, reports Alex Speier of WEEI.com. Vitek, the Red Sox first pick (20th overall) in the 2010 draft, saw his promising career derailed by a series of injuries. Over his last two seasons, he missed significant time due to an intercostal strain, a neck injury, and a concussion. He had yet to report to spring training while considering his decision, per SoxProspects sources. Per Speier, a recurrence of the neck injury and problems stemming from the concussing led to Vitek's decision to retire. Drafted out of Ball State University and touted as one of the top bats in his class, Vitek signed for bonus of $1.4 million. Though he played center field in college, the Red Sox immediately ticketed him for third base. Vitek's professional career got off to a promising start. Assigned to Lowell after signing, he hit .270/.360/.422 with 13 doubles and 30 RBI in only 204 at-bats. He received a late-season promotion to Low A Greenville, where he finished the season by going 11 for 40 with three doubles in 12 games. 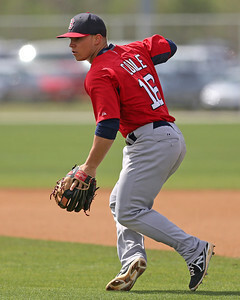 The performance put him in the top ten in the SoxProspects.com rankings heading into 2011. A team of players who had been working out on the Double-A and High-A teams scrimmaged the Long Island Storm, an independent league team, while two fields’ worth of intra-camp scrimmages took place nearby. 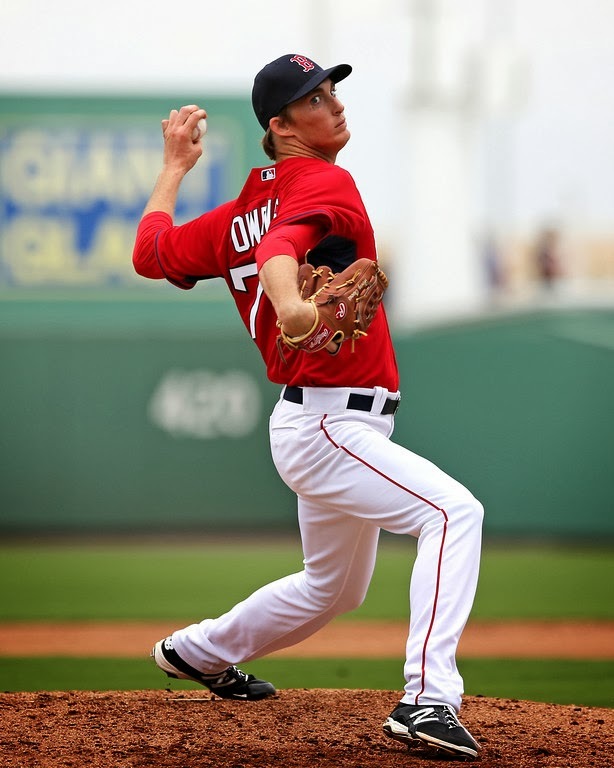 … The starters in one game, featuring Double-A and Triple-A players, were Henry Owens (pictured) and Brian Johnson. Owens sat 89-91 mph with his fastball, touching 93. His changeup looked outstanding, coming in at 75-77 mph and dropping off the table. He worked in both of his curveballs, the softer one at 70-74 and the harder one at 76-77, and at one point threw either a slider or cutter at 86. He mostly had success, although he did give up a home run to Ryan Dent. … Johnson similarly sat 89-91, hitting 93. His changeup was a bit harder than Owens’s in the low-80s, and his curve was 74-76. While the Red Sox have two very intriguing third base prospects in Garin Cecchini and Rafael Devers, the system is otherwise quite thin in terms of corner infield depth. Here’s a look at the potential starters, bench players, and other interesting first baseman and third baseman in Boston’s minor league system. Garin Cecchini, 22, hit .322/.443/.471 with 7 home runs and 23 stolen bases between stops in High-A Salem and Double-A Portland in 2013. 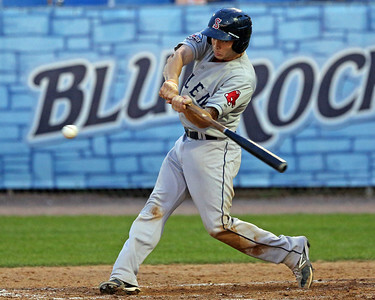 A fourth-round pick in 2010, Cecchini has impressive offensive tools, including a sweet left-handed swing, excellent bat speed, solid plate discipline, and slightly above-average speed. He profiles as a .300 hitter with continued development, and while his present power is below-average, he has average power potential over the long run. This will be an important season for Cecchini in terms of showing more power. There have been some concerns that he has yet to show much increased upper body strength during his three seasons in the system, and some scouts have commented that his swing can be too level. On defense, he still has some work to do on his reads and reactions, but he has the tools to develop into an average defender. If he make strides with his power and defense, he is a potential All-Star at the hot corner. He’s currently on the bubble for a roster spot between Portland and Triple-A Pawtucket, with the PawSox seemingly being more likely to be his starting point in 2014. It will be interesting to see if he gets time at any other positions this season, given the chance that he may be blocked by Will Middlebrooks and possibly Xander Bogaerts at third base in the future. Ultimately, when Cecchini does break into the majors, fans are likely to love him for his drive, baseball IQ, love for the game, and affable personality. Over the next two weeks, we’ll run several Scouting Scratches based off of our looks at all the players at Minor League Spring Training. Today, here’s a look at several young pitchers from the Low-A and short-season games. - Each spring there seems to be a pop-up pitcher in Red Sox camp, and this year that person was 20-year-old German Taveras (pictured). Working in relief in the Greenville game against the Twins, Taveras sat 93-95 mph with his fastball, touching 96 a few times and topping out at 97. He has a big body that does not have much projection, but his delivery is workable. He throws from a high three-quarters arm slot and has a live arm. When he finished his delivery, his fastball showed some arm-side run and the right-hander showed the ability to bring it back over the inside corner at the knees against a left-handed hitter, a very difficult pitch to hit, especially when in the mid-to-upper 90s. Taveras only threw a handful of off-speed pitches in the outing, showing an 82-83 mph slider. The pitch showed short, hard break, and on occasion, solid depth through the zone. While this was only one look, Taveras is a very interesting arm and one to follow as he moves up from the Gulf Coast League this season. One final Taveras note: we noticed Taveras catching on our first day in camp, prompting Chris to tweet that he may be moving to catcher. However, as a former catcher, he was simply helping out catching bullpens. FORT MYERS, Fla. -- Cody Kukuk flashed both great promise and rawness in 2013, his first full season in the minors. 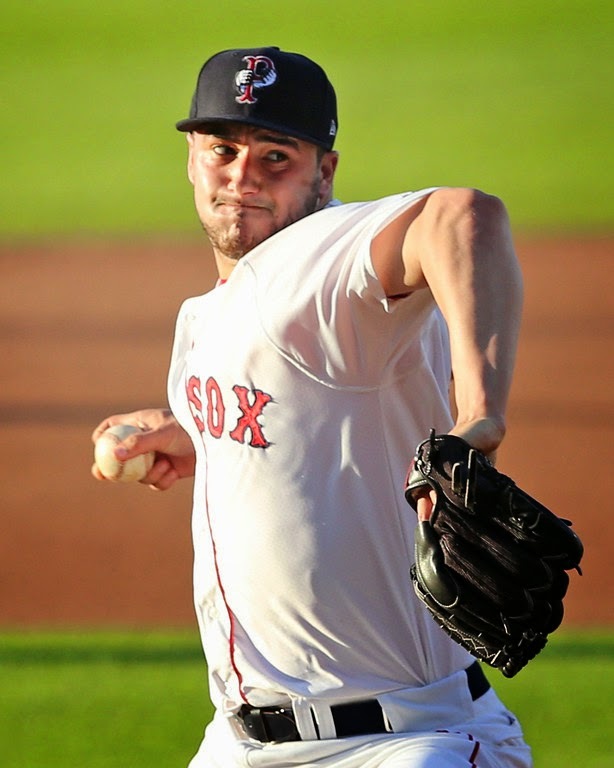 The left-hander showed plus raw stuff and limited contact well, striking out 113 hitters in 107 innings while allowing just 6.5 hits per nine innings, fourth-lowest among all Red Sox minor league pitchers who tossed at least 80 innings. However, the positives were overshadowed to some degree by the massive 89 walks he allowed. But having yet to give up a walk in game action this spring, it’s safe to say Kukuk’s offseason focus is paying dividends to this point. SoxProspects sent a large contingent to Fort Myers this week, the team checked in with many updates from spring training including a number of player highlights and columns. Executive Editor Chris Hatfield and Director of Scouting Ian Cundall kicked off the week with a System Restart on middle infielders throughout the organization. A follow-up ESPN Boston column by Editor-in-Chief Mike Andrews further investigated the middle infield depth of the organization. Senior Columnist Jon Meoli talked to one of those middle infield prospects, Sean Coyle (pictured), who is learning third base to expand his versatility. Meoli also checked in with right-hander Justin Haley about his time in the Red Sox system, and his recent outing against the Twins. The Red Sox announced that five players have been cut from major league camp today. 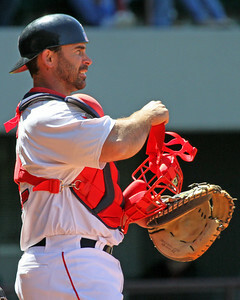 Catcher Dan Butler (pictured) was optioned to Triple-A Pawtucket while pitchers Dalier Hinojosa, Rich Hill and John Ely were reassigned to minor league camp and lastly, Jose Mijares was released from the organization. 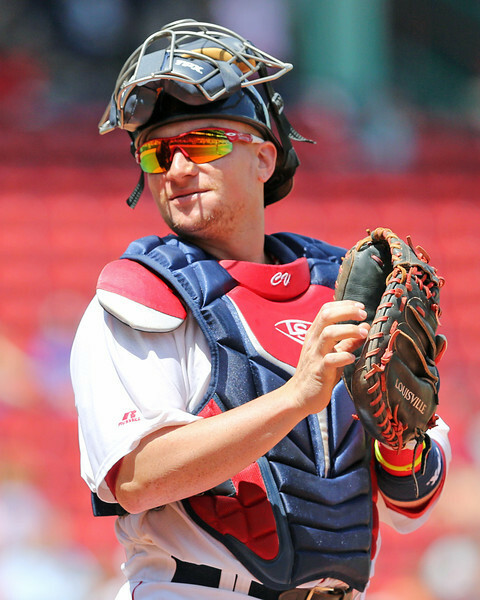 Butler, one of five catchers currently on the 40-man roster, will likely share backstop duties with Christian Vazquez in Pawtucket. Signed as an undrafted free agent out of Arizona in 2009, 27-year-old Butler put together a decent 2013, hitting .262/.350/.479 in 84 games, all with Pawtucket. On Saturday, the guys roamed the back fields for the A-ball and Rookie-level games, and there was plenty to see, first and foremost our first look at 2013 first-rounder Trey Ball. Chris also got an interview with Peter Hissey about his offseason teaching English in Ecuador and his thoughts entering his seventh year in the system. FORT MYERS, Fla. -- After a full-season debut in which his pitching coach said he labored despite statistical success, right-hander Justin Haley has sharpened a different part of his game to help his skill set show better as he moves up through the organization. The SoxProspects.com community has voted for its 2014 pre-season All-Stars at each position. These are the players that are expected to have the best season in the Red Sox minor league system at their respective positions, and ideally does not take prospect status into consideration. One of six members of the sterling 2011 draft class to be included on this list, Swihart showed notable improvement in his second full professional season. His .298/.366/.428 line with Salem included 29 doubles and seven triples. The development of Swihart's bat is no surprise to scouts, but there were questions whether he'd stick at catcher when his pro career began. Those worries seem a distant memory, as Swihart's work behind the dish earned him recognition as Red Sox Minor League Defensive Player of the Year. 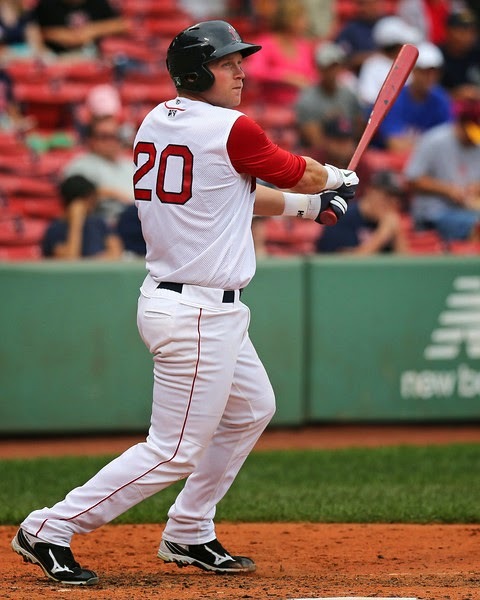 Swihart projects to begin 2014 with Double-A Portland. The Bunyan-esque Chester tied for the organization lead in home runs in 2013 with 19 between Low A Greenville and High A Salem. At 6-foot-5, 270 pounds, Chester sets an imposing presence in the batter's box, earning recognition as a South Atlantic League All-Star last season before earning an August promotion. 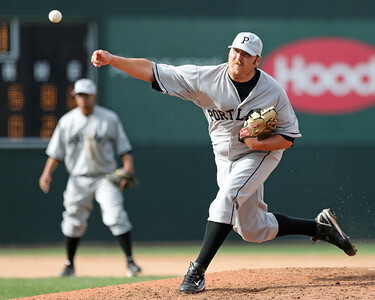 Chester, the 2011 Big East home run leader at the University of Pittsburgh, looks to continue his assault on Carolina League pitching in 2014. After the crew's first day(s) out on the back fields, Chris screwed up and deleted the audio from the short podcast we recorded. But don't worry, we'll do it right tomorrow. We still have an interview for all of you with PawSox broadcaster Jeff Levering about his take on the past five days of camp! The Red Sox announced three roster moves on Thursday, as the roster begins to take shape for the 2014 season. 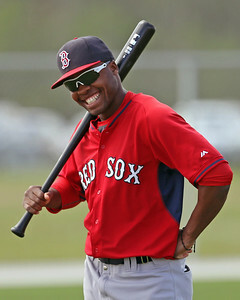 Infielder Brock Holt and pitcher Rubby De La Rosa (pictured) were optioned to Triple-A Pawtucket, and infielder Brandon Snyder was reassigned to minor league camp. As part of the move, the Red Sox also announced that De La Rosa will work as a starter with Pawtucket. The hard-throwing right-hander was acquired in the 2012 mega-deal with the Dodgers and started in 20 of his 24 appearances with the PawSox last season. However, all 11 of his major league outings came out of the bullpen, and there was a question as to what role the team would give him this season. FORT MYERS, Fla. -- After injuries cut short a promising 2013 campaign and kept him in Salem for a second straight season, Sean Coyle is adding versatility for his climb up the ladder by learning third base this spring. “They said, ‘You’re going to get all your work in at second base, and with your extra work you’re going to get some reps in at third, and we’ll see how it goes,’ ” said Coyle, who has played second base since he was drafted in 2010. So far, Coyle said, the transition has been an easy one — and it has not taken away from his work at second. The Red Sox are fairly loaded with middle-infield depth at the top levels of the organization, but the depth of potential starters is somewhat thin at the lower levels. 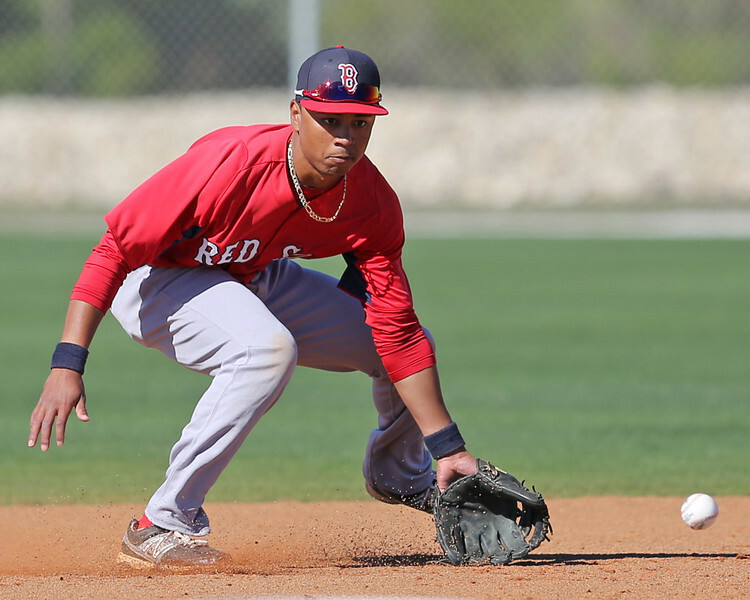 SS Xander Bogaerts, 21, is the best prospect in the system and one of the top prospects in all of baseball. Barring injury, he’s a safe bet to be the club’s starting shortstop for the 2014 season. There may be some speed bumps in his first season as a major leaguer, but he should easily be a better-than-average offensive shortstop out of the gate. Enough has been written about the scouting report on Bogaerts, so we’ll spare you the regurgitation. But here’s a prediction: If he stays healthy, Bogaerts will win at least one MVP award and make at least seven All-Star teams over the course of his career. SoxProspects at Spring Training starting ... NOW! Folks, the time has finally arrived - the week of SoxProspects.com's on-site coverage of Spring Training in Ft. Myers. Over the next five days, our intrepid staff will be bringing you live updates from the Fort, all the ins-and-outs, ups-and-downs, and everything in between out on the back fields at the complex, from morning to evening. If that doesn't put a smile on your face, something's wrong. Heck, look at Manuel Margot here—he's obviously pretty happy about it. Daily podcasts: We're planning to record short, daily updates on what we've seen in camp, starting Thursday. The easiest way to get those (and the rest of our podcasts!) is to subscribe on iTunes and automatically download the episodes as they go up. Twitter: You can follow the staff on Twitter to get our live updates from the field at the accounts below. SoxProspects News: While we're in Fort Myers, and over the coming week or two, we'll be posting interviews and other features here on the News Page, plus Ian Cundall's Scouting Scratch, tidbits for the Fort Report and much more. Photo credit: Manuel Margot by Kelly O'Connor. Position in a Nutshell: The Red Sox likely have their long-term answers at second and short in the majors already, but there are a handful of other intriguing players in the system, meaning those players will likely either change positions or end up traded, barring catastrophe. So with Xander Bogaerts and Dustin Pedroia in Boston, what will happen to all of the potential major leaguers at these positions? – For the most part, just do not worry about it. Marrero might just be a utility infielder if his bat does not progress, making him a great potential backup. Mookie Betts (more on him below) is athletic enough that if he is not traded, he could move to another position or become a multi-position player in the Ben Zobrist mold. And as for any players farther down the ladder, the Sox will deal with that (nice) problem if they need to down the line. The Red Sox announced more roster moves on Monday trimming their roster down to 43. Among those moves, the team optioned pitcher Allen Webster and catcher Christian Vazquez to Triple-A Pawtucket, while reassigning shortstop Deven Marrero (pictured) to minor league camp. Webster is the only one with major league experience. 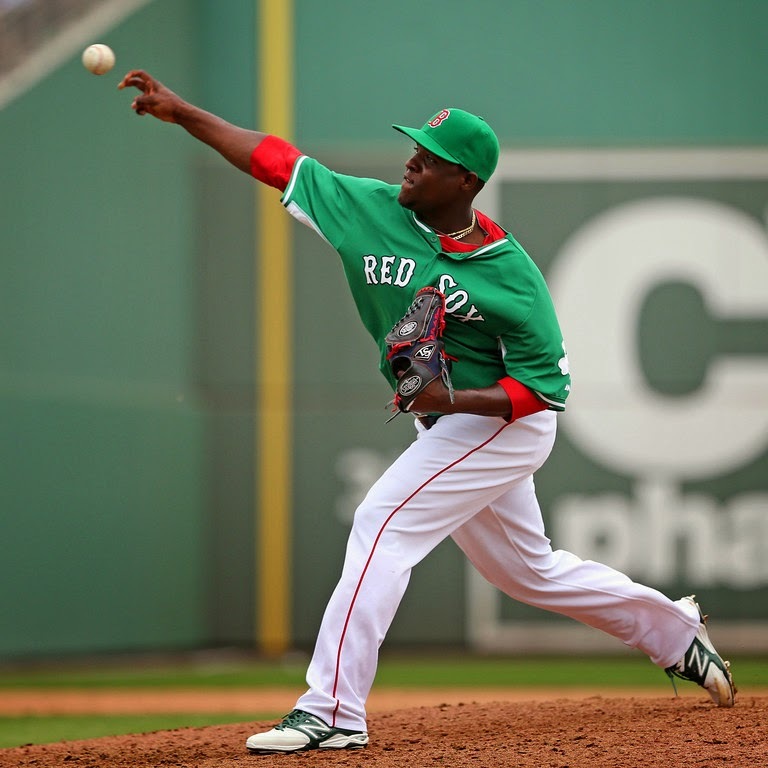 Webster, a 24-year-old right-hander, made four appearances for Boston in 2013 going 1-2 with an 8.60 ERA. A new feature debuted this week, with SoxProspects.com's Executive Editor Chris Hatfield and Director of Scouting Ian Cundall teaming up to take a position-by-position look at the state of the Red Sox minor league system. The System Restart started with the catchers, and moved on to the corner infielders. One of the catchers highlighted in the System Restart, Jon Denney, was arrested early Thursday morning in Fort Myers. Denney, who was projected to start the season in Greenville, is now unlikely to play for an extended period of time. The Red Sox are developing a program for Denney, and he will not see the field until he shows the Red Sox he is ready. What better way to celebrate St. Patrick's Day than with the final offseason ranking of the Red Sox top prospects? Longtime friend of the site Jim Callis, now part of MLB.com's MLB Pipeline team, came on the podcast to chat about his new gig and his top 20 list. Topics ranged from why Jim thinks Mookie Betts is the best second baseman in the minors, how close Xander Bogaerts is to consensus top prospect Byron Buxton, and more! 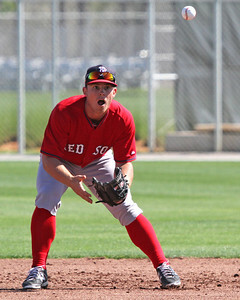 Editor's note: This is the second of a five-part series on depth in the Red Sox farm system. Boston's minor league depth at catcher improved in 2013, and some of the team's possible future backstops have already impressed even more so far this spring. Given that both A.J. Pierzynski and David Ross are both 37 years old and on one-year deals, the future for Boston's catching prospects may come sooner than later. While it's never a slam dunk, the door for the starting and/or backup catching jobs for 2015 is open for these prospects to earn. 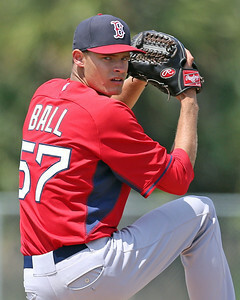 For more prospect news and analysis, check out SoxProspects.com. 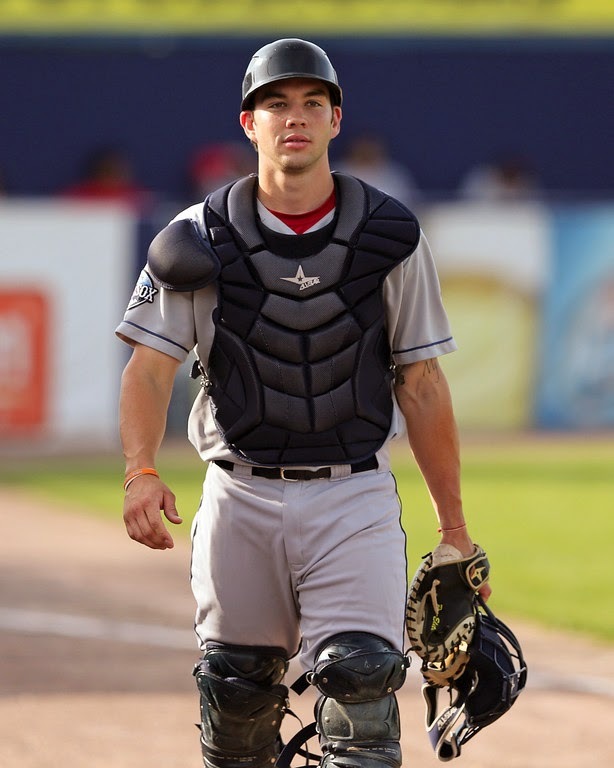 Blake Swihart, 21, was in camp with the big club (he was sent down Thursday), and is expected to start the 2014 season with Double-A Portland. Drafted in the first round of the 2011 draft, the Red Sox gave Swihart a $2.5 million bonus to buy him out of his commitment to the University of Texas. In his first full pro season in 2012, he hit .262/.307/.395 with Low-A Greenville. In 2013, the switch hitter batted .298/.366/.428 for High-A Salem. 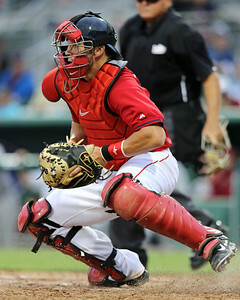 An athletic backstop, Swihart projects as a good contact hitter with average power, good instincts and decent speed. He has very impressive all-around defensive tools, and was named the Red Sox Minor League Defensive Player of the Year in 2013. However, due to his smaller frame, it's unclear whether he'll be able to endure the rigors of catching every day over the long term. He's athletic enough to move to second base or third base if need be. Overall, he has the skills to develop into an All-Star catcher, but he's still a year or two away from being major league ready. Position in a Nutshell: One top prospect, and some interesting players, but lacking depth with a lot of organizational players occupying starting roles. Is Travis Shaw ready for Pawtucket yet? – His 2013 numbers (.221/.342/.394) kind of say no, but Shaw had a great performance in the Arizona Fall League, as the Trackman batted ball readings showed him to be one of the batters who impacted the ball the hardest in the whole circuit. After 662 Double-A plate appearances, will he need one last go-round in Portland to show he is ready for the next step? He was sent down in the first round of cuts from MLB camp, probably signifying that the club has its plans for him figured out. The potential presence of Ryan Lavarnway, Brandon Snyder, and Alex Hassan to get first base at-bats in Triple-A may push him back down to start the year. Why aren't there more guys here? – As for first base at least, the position is thin throughout the minors—see, for example, MLB.com ranking Shaw eighth on its list of the top prospects in the game at the position. At third, there are two strong prospects in Garin Cecchini (above, right) and Rafael Devers (see below on both), plus, of course, the still-under-25 Will Middlebrooks (above, left). It's really not as bad as it looks. The Red Sox announced their first round of cuts from major league spring training this morning. Pitchers Anthony Ranaudo and Alex Wilson, outfielders Alex Hassan and Bryce Brentz, and third baseman Garin Cecchini were optioned to Triple-A Pawtucket. Meanwhile, pitchers Henry Owens (pictured), Matt Barnes, Michael Celestino, and Noe Ramirez, first baseman Travis Shaw, catcher Blake Swihart, and utility man Heiker Meneses were reassigned to minor league camp. Wilson is the only member of the group with major league experience. The 27-year-old righthander went 1-1 with a 4.88 ERA in 26 appearances across three stints with the Red Sox in 2013. According to Chris Cotillo of MLB Daily Dish, the Red Sox have signed reliever Michael Olmsted to a minor league deal, pending a physical. The right-hander was released on Monday by the Milwaukee Brewers with whom he spent the entire 2013 season. Olmsted last pitched for the Red Sox in 2012 when he had his career season going 59 1/3 innings with a 1.52 ERA and .860 WHIP split between Salem and Portland. In 2011, his first season with the Red Sox, he also put up impressive numbers with the GCL Red Sox and Greenville, finishing the year with a similar .866 WHIP and even better 1.38 ERA. However, at 24 years-old, he was dramatically older than his competition. With Spring Training underway and minor league opening day approaching, we’ll be previewing the 2014 season in our System Restart series, a position-by-position look at the state of the Red Sox minor league system. In this new feature, we will assess the depth at each position and highlight the players to follow entering the year at each spot in the field. Today, our first installment covers the catchers. Position in a Nutshell: The system is top-heavy at catcher. It’s heavy in major league talent in the upper minors, but a space in the lower minors for the next wave to step up. Top Prospect: Blake Swihart, Projection: Portland – Swihart (pictured, above right) established himself as a top-100 prospect after a strong season both offensively and defensively with Salem. He alleviated any questions about his ability to handle the position long term, stemming from his being relatively new to the position having only picked it up late in high school, showing off improved receiving, blocking, and game-calling skills. Though his stat line at the plate does not jump off the page, he also made strides there, showing an improved approach and a potential above-average-to-plus hit tool. Swihart has yet to show much in-game power, but he has shown the ability to drive the ball with backspin in the gaps. As he gains strength, some of those doubles—29 of them in 2013—should turn into home runs. As part of a series during spring training, SoxProspects.com will be examining the depth of the Red Sox minor league system position by position. This week, the series kicked off with Mike Andrews detailing the depth of the system's arms on ESPN Boston.com. The Red Sox catching depth has never been better, writes Kevin Thomas of the Portland Press-Herald. Thomas highlights Ryan Lavarnway, Christian Vazquez (pictured) and Dan Butler while noting the fragility and age of the tandem on the major league roster. After clubbing his third home run in 20 at-bats this spring, outfielder Bryce Brentz drew praise from Red Sox Manager John Farrell. In this report by Speier, Farrell touted Brentz's "raw" and "all-field" power, while noting there "maybe some swing and miss in there." Over the course of March, we'll be examining the depth of the Red Sox minor league system on a position-by-position basis. We’ll kick it off with pitchers. Boston has more pitching depth than it has had in recent memory, with a bevy of potential impact major league starters at the upper levels of the system, together with several intriguing young hurlers who could eventually contribute out of the bullpen. 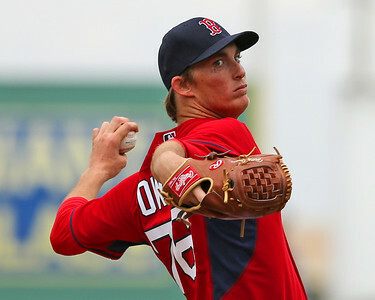 LHP Henry Owens, 21, was a supplemental first-round pick in 2011. The 6-foot-7 left-hander spent a significant portion of the 2013 season in High-A Salem, posting a 2.92 ERA, 1.14 WHIP, and striking out 123 batters over 20 starts in 104.2 innings. 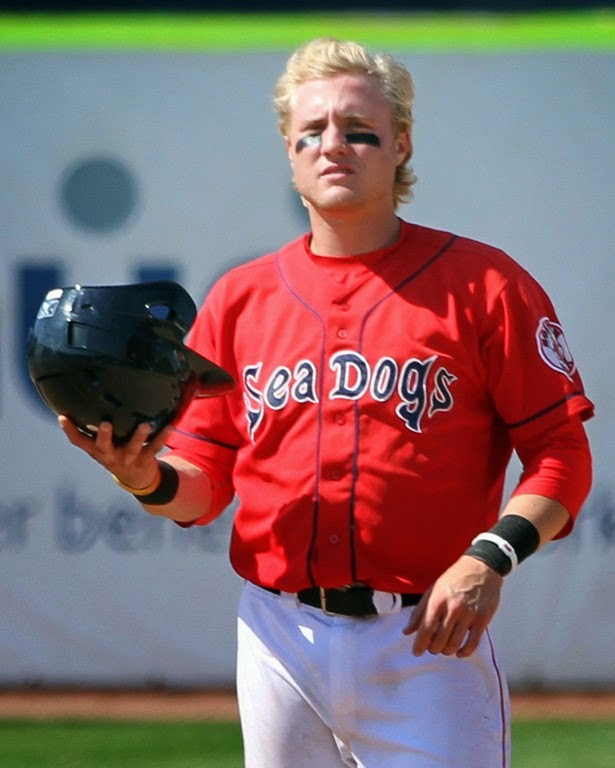 He was promoted to Double-A Portland on Aug. 1 and went on to start six games for the Sea Dogs. Owens posted a 1.78 ERA and struck out 46 batters over 30.1 innings in his brief Double-A stint. His arsenal includes an 89-92 mph fastball, an excellent mid-70s curveball, and an above-average low-80s changeup. Due to his height and arm action, his fastball appears to the hitter to come in faster than its actual velocity. Owens also should be able to add some additional sitting velocity over the next couple seasons as he adds strength. (Had he not signed with Boston, he would currently be a junior at the University of Miami.) He projects as a No. 3 starter, but still has some work to do to get there, particularly in improving his fastball command. However, Owens could also develop into a No. 2 starter if he adds velocity and refines his command. The Red Sox announced that they have signed Bo Greenwell, son of former Red Sox All-Star Mike Greenwell, to a minor league deal. The 26-year-old has been in the Cleveland Indians system since they drafted him in the sixth round in 2007. Meanwhile, the Pawtucket Red Sox announced on Tuesday that they have filled their vacant radio broadcaster position, bringing in Josh Maurer. The position opened up when Bob Socci left to become the voice of the New England Patriots. Retirement announcements are most common at the end of the season and near the beginning of spring training, and this year is no different. According to SoxProspects.com sources, Greg Larson, Matt Spalding, and Nick Natoli have retired. In addition, the Jacksonville Sun reported that Drew Sutton has retired. Chris, Jon, Ian, and—eventually—Matt thought it time to get to your emails, so that could mean one thing: mailbag podcast. You asked about first-timers in MLB camp, Steven Wright's place on the 40-man roster, trading with the Cubs, Garin Cecchini's chances of forcing his way into the Majors, and whether the Sox can continue to stay near the top of the farm system rankings, and we talked about all of it. Just how distracted can Chris be while a Sox-O's game is on in the background? Download and find out! The Boston Red Sox announced that they have signed outfielder Bo Greenwell to a minor league contract. Bo is the son of of former Red Sox All-Star outfielder Mike Greenwell. Greenwell, 26, was originally drafted by the Cleveland Indians in the sixth round of the 2007 MLB Amateur Draft out of Riverdale High School in Fort Myers. In 65 games last year with the High-A Carolina Mudcats, Greenwell batted .264/.319/.381 with four home runs and five stolen bases in 281 plate appearances. He also appeared in 10 games with Double-A Akron, where he batted .216.